The schools’ successes with female students who want to be actuaries, engineers or computer scientists can be seen in two ways: small gaps between the number of women and men earning STEM degrees, and higher earnings for female graduates. Their results offer a window into the role higher education could play in increasing the number of women in STEM fields. “If it continues to be the white men who are doing the best coming out of colleges then to some extent higher education is failing in its fundamental mission to create opportunity for anyone who is willing to work hard,” said Barbara Gault, the vice president and executive director of the Institute for Women’s Policy Research. Women make up roughly 30% of the employees at Apple AAPL, -0.69% Google-owner Alphabet GOOG, -3.14% and Facebook FB, -3.04% according to company diversity data released earlier this year. Some blame that on “pipeline issues,” saying there are too few women graduating college with the necessary credentials. The numbers support that contention. 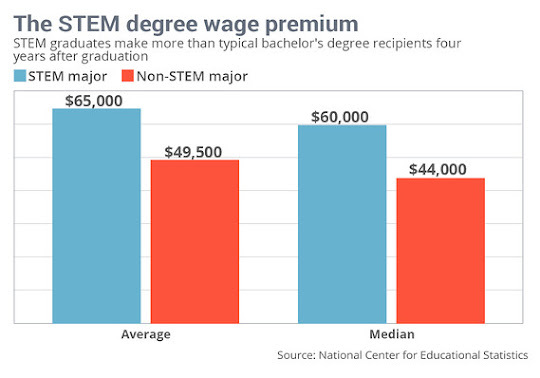 Just 29% of the bachelor’s degrees awarded to women were in science and engineering fields in 2014, compared with 40% for men, according to the National Student Clearinghouse. The share of 2014 female graduates with science and engineering degrees drops to 12% when social sciences and psychology are eliminated. Women received just 19.9% of the engineering degrees awarded in the U.S. in 2014, according to the American Society for Engineering Education. Colleges can’t take all of the responsibility for creating gender parity in high-paying fields. Some women with talents in science or math may face discrimination once in the workforce; or could be dissuaded from STEM studies as young girls because of subtle — or more overt — messaging from parents, teachers, friends and others; or they could simply prefer other endeavors. Still, according to a study of government data conducted for MarketWatch by Jonathan Rothwell, a fellow at the Brookings Institution, there are meaningful steps colleges can take to help. Some that have succeeded have used a targeted approach to help women make it in STEM fields, while others have used less formal methods. MarketWatch interviewed deans, professors, students and career counselors at several of those schools to learn how they’re achieving those outcomes. Many of the schools on the list, particularly those with a focus on STEM, have overall gender pay gaps in the low double or even single digits — well below the national average of 22%. The schools range from Stevens Institute of Technology in Hoboken, N.J., to the Massachusetts College of Pharmacy and Health Sciences in Boston and Harvard University. Zeroing in on the schools that have had success graduating women in science, engineering and math fields could help businesses and policy makers better address issues of gender inequity and benefit the economy more broadly, according to Rothwell. “If you care about earnings inequality across gender then getting women into higher-paying occupations is a priority and one way to get women into higher paying occupations is to make sure they’re studying in fields that are preparing them for higher paying occupations,” Rothwell said. The schools’ tactics vary widely. Some address gender imbalances in high-paying fields indirectly by offering programs to all students that may be of particular benefit to women. Others are trying to address these issues head on. At Boston-area business school Babson College, for example, the Center for Women’s Entrepreneurial Leadership sponsors research focused on gender equality in business and events at which students can meet female business leaders and mentors. The center also offers a group of about 20 women the chance to participate in an eight-month program that helps them start businesses through weekly sessions with experts, opportunities to work with coaches, access to financing sources, introductions to the venture capital community and more. The women who take part in these programs benefit directly from the opportunities, but the existence of the center also reinforces the idea that the traditionally male-dominated business world is a natural place for women to pursue careers, said Nan Langowitz, an associate dean at Babson and the center’s founding director. The imperial goatee on King Tutankhamun's golden burial mask is back in business after scientists reattached it with beeswax, according to the Egyptian Ministry of Antiquities. The more than 3,300-year-old mask was damaged in August 2014 when the beard accidentally fell off during a routine cleaning. Staff workers at Cairo's Egyptian Museum mistakenly reattached it with epoxy glue, leaving scratch marks on the famous artifact after they used a spatula to wipe off the excess glue, Live Science reported in January. 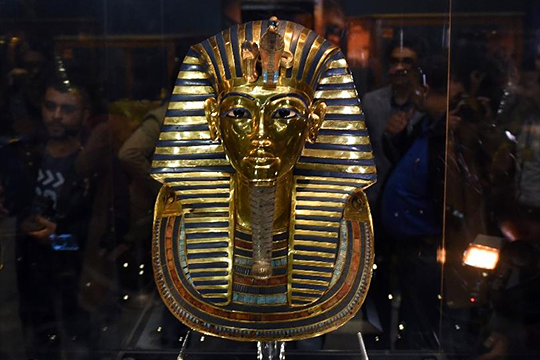 But now, after a nine-week restoration, the mask has returned to public display at the museum, Antiquities Minister Mamdouh Eldamaty said at a news conference yesterday (Dec. 17) at the museum. The restoration revealed newfound secrets about the mask, Eldamaty said. Researchers noticed a gold tube inside the royal beard, an intriguing structure that ancient Egyptians likely used to attach the beard to the rest of the mask, he said. What's more, ancient Egyptians also used beeswax to fasten the beard to the mask, a technique replicated by the researchers during the restoration, Eldamaty said in a statement on Facebook. King Tut, who ruled Egypt from 1332 B.C. to 1323 B.C., has fascinated the public since British archaeologists Howard Carter and George Herbert discovered the boy king's nearly intact tomb in 1922. However, the beard on the funerary mask — a symbol that kings used to identify themselves to Osiris, the god of the underworld — was detached at the time it was found inside the tomb, according to National Geographic. "The 2014 damage was exaggerated, since the beard was previously detached as the examination showed," said Friederike Fless, the president of the German Archaeological Institute in Cairo, one of the German and Egyptian bodies that cooperated in the restoration process, according to National Geographic. The beard remained detached until 1946, when it was reconnected using a soft solder, National Geographic reported. The researchers began the new restoration in October 2015, starting with a 3D scan to document the mask. Then, over a four-week period, they heated the metal mask and carefully removed the epoxy glue with wooden tools, National Geographic said. Now that the mask is back on display, the scientists are preparing a scientific study that describes the entire restoration process, Eldamaty said in the statement. Its scientists have developed "anti-torpedos" - seafaring interceptors akin to Patriot missiles. They're designing new navigation systems to allow sailors and soldiers to know where they are when GPS isn't available. They're working on a new fuel made from aluminum powder and seawater that would let unmanned vehicles stay in the depths longer as they hunt down enemy mines. Without fanfare, this work - much of it top secret - goes on in a nondescript building on Pennsylvania State University's main campus, the Applied Research Laboratory, which conducts more than $200 million in research each year, the bulk of that for the Navy. Its leaders, touting the lab's 70th anniversary of developing new technologies, recently offered a glimpse inside the main building and its other sites, including a saucer-shaped facility in Warminster, where engineers test precision navigation for submarines. "We help the government figure out the art of the possible," Allan Sonsteby, deputy executive director, said at lab headquarters, a basic brick building next to the university power plant in State College. The scientists recently designed the propulsor system that will go on a new attack submarine. They were challenged to make the blades cut through the water as soundlessly as possible. "The crown jewel for submarines is how quiet can they be," said Paul E. Sullivan, a retired Navy vice admiral and director of the laboratory. "Noise is death." To enter the laboratory requires passing through tight security. iPhones must be left at the door. At its Garfield Thomas Water Tunnel, one of the world's largest facilities of its kind, workers test submarine propellers and other devices. One recent afternoon, a visitor was not allowed to look inside the tunnel, where 106,000 gallons of water can flow through at 60 feet per second. The nation's 13 university-affiliated research centers grew out of World War II, when U.S. leaders wanted to forge closer relationships between scientists and the military. At Penn State, the lab answers the call of the Navy. Close to a decade ago, the request was: Can you kill an incoming torpedo? The Navy wanted better protection for its aircraft carriers, 6,000-person cities at sea for months at a time. Out came the lab's anti-torpedo. The first one went on the USS George H.W. Bush carrier in 2012. Later, they were added to the USS Theodore Roosevelt, which recently was featured in Penn State's alumni magazine because more than a dozen alumni serve on the crew. The applied research lab employs 1,200, including a couple hundred students. Sullivan reports to Penn State's vice president of research. Many lab employees also teach. And professors in other disciplines sometimes come out of the classroom to do research for the Navy. A liberal arts professor, expert in how other cultures learn, currently is helping the Navy understand how young sailors acquire knowledge. "They are out there launching $75 million aircraft at age 19, 20. They can't make mistakes," said Sullivan, who spent 34 years in the service and joined Penn State in 2014. The lab helps the defense department financially, too, Sonsteby said. Its automated process for sanding rivets - fasteners used aboard Joint Strike Fighter planes - is expected to save the military hundreds of millions, he said. Each plane has 44,000 rivets; they used to be hand-smoothed. "Instead of taking three minutes per rivet," Sonsteby said, "it's under a minute now." Some work is not classified. The additive manufacturing lab stepped up when the Navy announced intentions to put 3-D printers on aircraft carriers to manufacture boat parts by 2017. "We quickly got a call, saying, 'Help,' " said Tim Simpson, lab codirector and a mechanical and industrial engineering professor. The 3-D parts can be lighter, better performing, more intricate, and less expensive, Simpson said. Some work is done for nonmilitary entities. The lab, he said, helped with 3-D printer-made titanium hip implants that allow patients to recover more quickly because bone can grow into them. Penn State's Pegula Ice Arena was designed in part at the applied science building, in a 10-by-10-foot immersive 3-D "cave" with screened walls. Benefactors Terry Pegula and his wife walked through a virtual version of the arena and pointed out changes they wanted to see. They asked that second-floor walls overlooking a community ice rink be changed to glass so that people could watch skaters, said Eileen Rotthoff, lab research assistant. Penn State saved nearly a half million because architects could make building adjustments at the virtual stage, she added. The same technology helps the Joint Interagency Task Force South in Key West, Fla., ferret out illicit drug traffic. The military agency oversees 42 million square miles of ocean. Four Penn State research lab scientists work in the building. Scientists upload large data sets - such as locations of boats, submarines, and planes - then view them in 3-D, looking for anomalies. "If you looked at a million points on a desktop, all you'd see is a big blob," Rotthoff said. "Here, you can move through them." 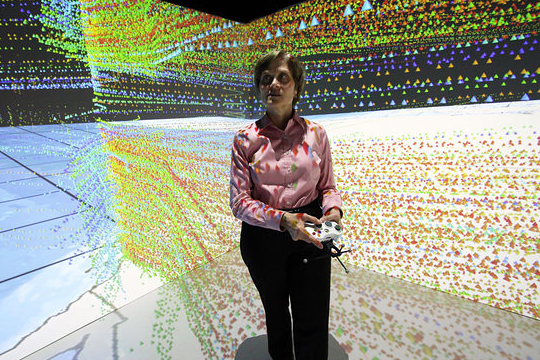 To demonstrate, she uploaded data on flights in and out of the Los Angeles airport. Colorful points and lines on the screen revealed gaps where planes don't fly. "You know what the best system in the world is for detecting anomalies?" Sonsteby said. "Your mind." The heart of the 30-acre Warminster site is a nearly windowless building, with a circular roof and special lighting, all conditions designed to eliminate any outside noise or vibrations. Its power is generated in a separate nearby building. "The reason for this is so we can do the most precise navigation work," director Herb Seligman said. At the site, which Penn State acquired in 1996, some current research centers on "assured navigation," how to find a location without GPS by starting out with a known position and using various sensors. Students from Penn State and other universities intern at the lab - and sometimes get jobs there. "The goal is to help soldiers and seamen to know where they are and to do their jobs effectively," said Dave Redington, 33, a Drexel grad and electrical engineer, "and so that's, I believe, a noble venture." 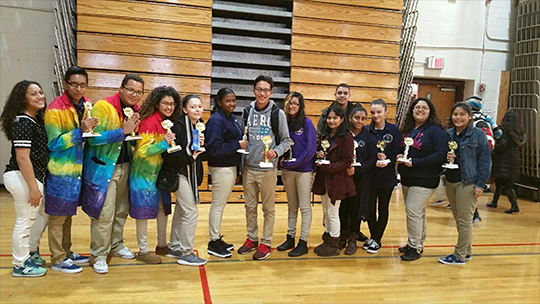 The Paterson Public Schools' young women flexed their Science muscles at this year’s STEM Expo. Over 200 students in grades K-12 from schools across the district sent their best Inquiry and Innovation projects to this annual district-wide event. 55% of all winners this year were girls. Girl-only teams raked in 44% of first place awards and 67% of second place awards. We applaud all our winners as they prepare for 21st Century STEM careers! 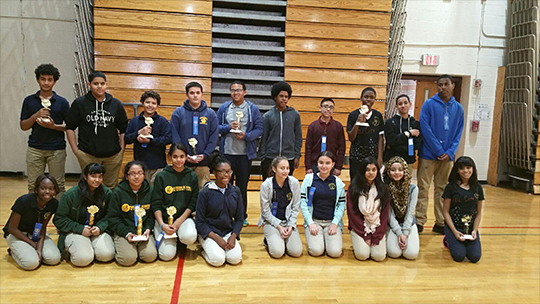 We are eagerly anticipating next year’s STEM Expo, which is scheduled for December 9, 2016 at William Paterson University. Encryption has been all over the headlines after recent terrorist attacks, and the discussion can quickly get cryptic. Is “crypto” a fatal weakness of the Internet? An endangered species that must be saved? You can hear heartfelt testimony for either view from both Democratic and Republican politicians. But ultimately, encryption is just math that, like any other tool, can be used for good or ill. Let’s start with some basics about it that often get neglected in all the commentary. Q. It was my understanding there would be no math in this story…? A. Sorry, it’s unavoidable: Encryption works by encoding information in such a way that its recipient can decode it (without further help from its sender), but no one else can. To do that scrambling, you need to run the original data through one equation or another. For example, to encrypt something against the prying eyes of somebody who’s really, really drunk, you could just replace each letter with one 13 places forward (so “A” becomes “N” and so on). If your eavesdropper is more capable, you’ll need something more complicated — but it’s still all equations. Q. Okay. What makes for strong cryptography? A. Using more complex math in an encryption algorithm only goes so far if the sender and recipient use the same key — that is, if they both plug the same secret set of digits into the encryption formula — to encrypt and decrypt. In that case, if either party loses the key, game over. 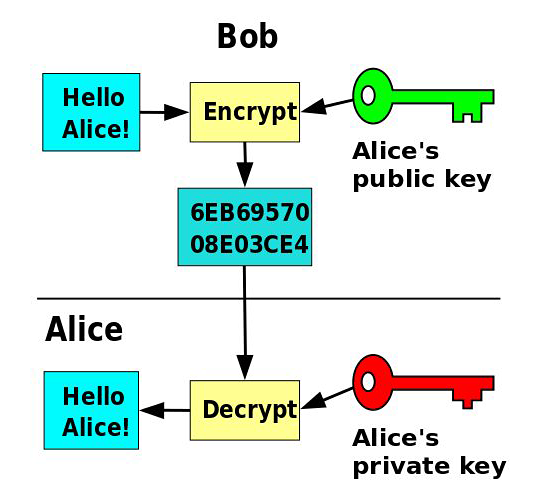 The simplified version of how encryption works. But you don’t have to share the same key. That’s the insight behind public-key cryptography. You use one key — a public key shared with the person with whom you want to communicate confidentially — to encrypt the message. Then that recipient decrypts it using a different private key originally generated alongside the public key. Q. Sounds really complex. How do I use this? A. You already have by reading this story. Your browser and Yahoo Tech’s site used public-key encryption to secure their connection, based on a standard variously called SSL (Secure Sockets Layer, the original name) and TLS (Transport Layer Security, a more modern moniker). That’s why the URL in your address bar begins https instead of just http. Q. Can I protect my email this way? A. You can, but that’s not as easy. While an increasing number of e-mail services — including Gmail, Microsoft’s Outlook.com and Yahoo Mail — use encryption to protect messages as they transit the Internet, that doesn’t secure them after they arrive. So-called end-to-end encryption requires senders and recipients to install an extra program. The best-known such software is the open-source Pretty Good Privacy. But even when used inside the refined interface of a PGP-compatible app like GPG Suite, encrypting email is tricky enough that most people don’t bother. Let me put it this way: If this sentence’s link to my public PGP key gets me an encrypted message from a reader, that will be the first time it’s happened in many years. Q. But if end-to-end encryption is so hard, why do I keep hearing about the risk of crypto letting criminals “go dark”? For example, WhatsApp activated end-to-end encryption a year ago. This feature doesn’t protect messages to and from regular mobile phone numbers but does scramble communication between the Facebook-owned service’s 900 million regular users. That amounts to a decent chunk of the global conversation. Apple, in turn, made full-device encryption the default on iPhones and iPads with iOS 8, walling off data on them from anybody without a user’s registered fingerprint or device passcode. As an Apple white paper explains, this is fiendishly strong stuff — and because Apple has no backup key, it can’t unlock any of the hundreds of millions of devices secured accordingly. Q. 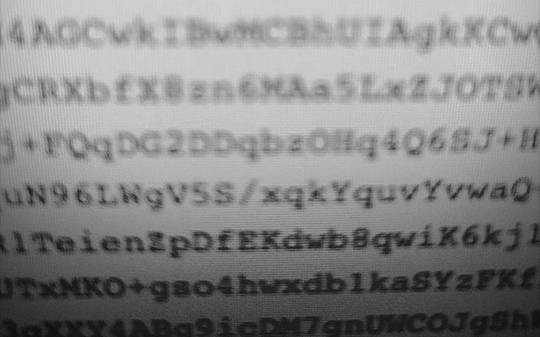 Can the government ban that kind of unbreakable encryption? A. The government could ban U.S. companies such as Facebook and Apple from providing encryption without a “back door” that law-enforcement could use to unscramble a suspect’s chatter without his or her password or key. But security experts correctly say that such back doors would weaken security for everybody using that compromised crypto. Meanwhile, the Feds can’t force individuals to use back-doored encryption. Nor can they stop developers elsewhere in the world from writing and shipping unbreakable crypto. Q. Does the government understand that? A. Unclear! Statements like President Obama’s line in Sunday’s Oval Office address about terrorists who “use technology to escape from justice” can be read as opposing encryption or asking industry to help find other ways to catch our enemies. Q. Will law enforcement be increasingly out of luck as more people use encryption? A. Not necessarily. Police investigators can and will try to compromise a suspect’s devices to work around encryption. As far back as 2007, the U.S. government has used court-authorized malware for that purpose. The iPhone is more resistant to tampering, but its TouchID fingerprint sensor has been spoofed by security researchers, while the numeric passcode backing up that biometric barrier has been vulnerable to some clever brute-force attacks. And no encrypted device is an island. An iPhone that’s been backed up to a computer or to Apple’s iCloud lets you go after its contents in either place. And you can attack the devices and accounts of a suspect’s regular contacts — encrypted messages still leave metadata such as sender and recipient addresses exposed — some of whom may not be as expert as our hypothetical criminal mastermind. In short: Encryption is powerful math, but it’s still dependent on fallible humans. The grant, from FirstEnergy, will help fund a joint project between fifth- and second-graders. A pair of teachers at Ridgeway Elementary School in Manchester have been awarded a grant by the FirstEnergy Foundation, the Manchester Township School District has announced. 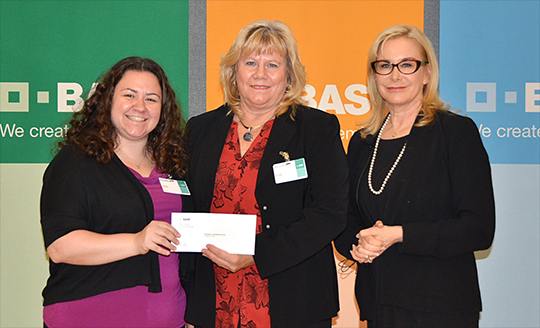 Ginny Schenck and Crystal Policastro were chosen to win a $500 STEM grant from from the foundation. 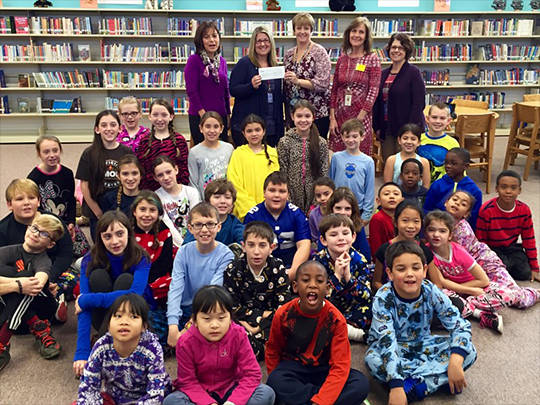 JCP&L/FirstEnergy representatives, Maria Sessa and Kathy Moyer from JCP&L/FirstEnergy presented the grant to the teachers and their students on Nov. 25 in the school’s media center. 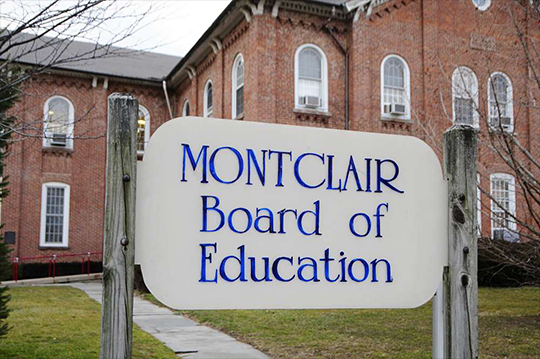 The grant will provide supplies for the fifth-grade students from Mrs. Schenck’s class to work with second-grade students from Mrs. Policastro’s class to conduct STEM (Science, Technology, Engineering, Math) experiments. Mrs. Schenck said the students would be asking questions through exploration, constructing a hypothesis, testing the hypothesis by doing experiments, and analyzing data. “The kids and the teachers are very excited to be able to start this fun project and are thankful that they were chosen to win this grant from FirstEnergy,” Mrs. Schenck said. 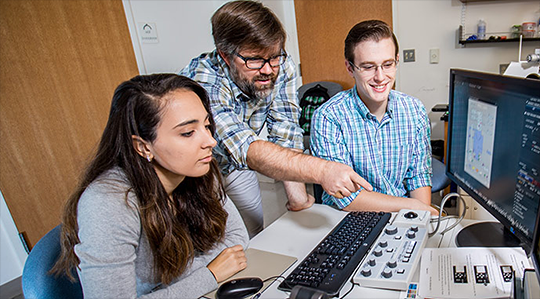 A state-of-the-art variable pressure field emission scanning electron microscope (FE-SEM) in the School of Science is now giving TCNJ undergraduates levels of experience normally reserved for faculty, postdocs, and grad students at top research universities. But that’s not all—a second advanced instrument called an atomic force microscope (AFM), is on the way for spring 2016. The AFM will have even more resolution and include complementary capabilities. Housed on the first floor of the Science Complex and coordinated by associate professor Nathan Magee, the Hitachi SU5000 FE-SEM has an ultimate resolution of about one nanometer, which means researchers can study groups of about 10 to 15 atoms at a time. Accessories that help make TCNJ’s FE-SEM unique include a cryostage for studying the nanoscale behavior of ice and specialized detectors to map chemical composition and crystallographic features. Magee and his students recently used advanced microscopes to observe that ice crystals in cirrus clouds may look smooth, but actually have rough surfaces at the atomic level. Understanding this roughness and its role in scattering light may help explain how crystal structure impacts climate, he said. Departmental prestige has not fostered possessiveness. Magee said the scopes will be available for use across disciplines. Funding for the microscopes originates in the “Building Our Future Bond Act” which was approved by New Jersey voters in 2012. The ballot initiative okayed about $750 million statewide to upgrade public and private colleges. For TCNJ, the act supports the $75 million science, technology, engineering and mathematics (STEM) building currently under construction. The fourth graders at Highlands Elementary School put six M&M's on a paper plate. They added water. And they watched the colors dissolve. But instead of bleeding into each other into a black pool, the colors stayed within their boundaries, forming a rainbow, and the fourth graders were in the middle of a mystery. Why does that happen? "I don't know exactly why," the instructor, Gabrielle Cincotta, said from a laboratory in East Hanover. "The only people who know is the company that makes the M&M's." The class was part of Students 2 Science, a nonprofit group that partners with New Jersey's technology companies and schools to train the next generation of scientists. The goal is to plant the idea of science, technology, engineering and math careers, known as STEM, early in students' careers. It will eventually help New Jersey companies fill job openings and help the Garden State reclaim the innovation edge it once had on the rest of the world. "You have to create the passion, but passion needs to be sustained," said Dean Paranicas, president and chief executive officer of the HealthCare Institute of New Jersey, a trade group for pharmaceutical companies. "You need mentors, the right tools, the right environment. There's a mixture you need to ensure a significant number of those students will remain in a STEM field and contribute meaningfully once they enter the work force." Highlands Elementary School, Atlantic Highlands Elementary School and the the towns' middle school and high school, Henry Hudson Regional, are partnering with Students 2 Science this year. On a recent fall day, Jill Puffenbarger's fourth-grade class in Highlands took their seats and watched the smartboard in front of the class. They were connected with a fourth-grade class at Atlantic Highlands Elementary School and with Cincotta, who was in a laboratory 60 miles away. Helping out in the classrooms were scientists from International Flavors & Fragrances in Hazlet. Cincotta explained the hour-long lesson. 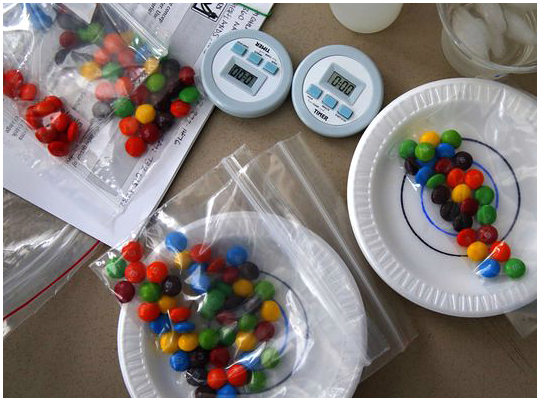 They would put M&M's through multiple experiments, observing how they dissolved based on the color of the shell, the number of M&M's, the water's temperature and the water's sugar content. They learned that M&M's dissolve faster in hot water because molecules don't have a lot of energy. They learned that scientists use the same idea to figure out how medicine dissolves in the body or water dissolves rocks. And they learned that some answers – like why M&M colors don't mix with each other – remain a mystery, waiting only for a resourceful student to make a breakthrough. The students looked energized. They worked in teams. They helped each other out and offered congratulations on jobs well done. Haylee Streckfuss, 10, of Highlands, called it the best lesson about science she has ever had. "I love science, ever since I was 7 or 6," Streckfuss said after class. "I like that it's a mystery, what you're trying to find out." If she stays the course, Streckfuss could write her own ticket by the time she graduates. Three-quarters of the fastest-growing occupations require math or science skills. And as many as 2.4 million STEM jobs are projected to be unfilled by 2018, according to Adecco, a staffing company. Students 2 Science was founded six years ago by Paul Winslow, whose company had contracts with New Jersey's big pharmaceutical companies to test new drugs. He said he had trouble finding qualified workers. So after he sold the company, he founded Students 2 Science, raising money from corporations and leaning on hundreds of volunteers – active, retired and unemployed scientists – to chip in. The program expects to reach 3,000 students statewide this year, Winslow said. The centerpiece is a 10,000-square-foot chemistry lab with state-of-the-art instruments, where students spend a day working on real-world problems. But it recently partnered with Connectivity Inc., a technology company, allowing scientists like Cincotta to conduct virtual lessons. Schools need only an Internet connection, a laptop and a smartboard projector, Winslow said. When the program is finished, Winslow has found that 30 percent more students show an interest in pursuing a scientific career. "There's this tremendous mystique about science – it's too difficult, not for them, they haven't met a scientist before," Winslow said. "It just strips away all the intimidation and all the unknown. The next thing you know is you have kids saying, 'I'm smart. I can do this.' Or, 'I didn't realize what a scientist does.'" The three schools in Highlands and Atlantic Highlands started the program this year, offering different classes for each grade through middle school, eventually culminating in a field trip by eighth graders to the Students 2 Science lab. The schools are dipping into an education foundation to pay the $5,000 that it costs for a field trip. Schools face new state standards that require students to have a better grasp of science. They need to offer more hands-on research. They're encouraged to bring in professionals. And they need to reach children whose parents might not have worked at Bell Labs or Merck, children who might not otherwise be destined for the renowned High Technology High School in Middletown or Biotechnology High School in Freehold Township. High achievers "are going to do well in whatever high school they go to. There are decent labs here at Henry Hudson. They'll have a great experience," said Daniel Loughran, supervisor of curriculum and instruction for the Highlands and Atlantic Highlands schools. "The rest of the students who might not be honors, it's sort of (creating) a mindset they might not yet have because they haven't been in high-level labs before, and they might not have thought they could possibly engage in high-level work." Will it work? The classroom here was focused on the task at hand. The M&M shells had dissolved into sugary streams, each color staying in its lane. The students wanted to know why, and they raised their hands, offering hypotheses. Who knows? Maybe they were right. Streckfuss watched from the back of the class, sometimes leaning on the edge of her chair to get a better look. She said she wasn't too surprised by the results; she had done similar experiments with milk and food coloring at home. She thinks she might be a scientist one day. But before this class was over, she raised her hand and asked the most important question of all. She wanted to know: "Can we eat the leftovers in the bag?" Interested in volunteering for Students 2 Science? For information, go to www.students2science.org. Do You See Your Program Participants in Future STEM Careers? 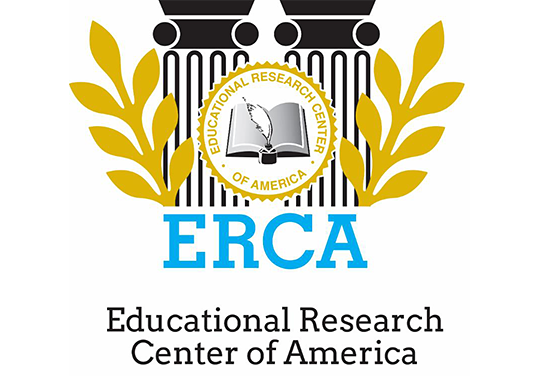 The Connectory has announced a collaboration with the Educational Research Center of America, Destination Imagination, and National Alliance for Partnerships in Equity on a research project focused on high school students' perceptions of STEM careers. Survey packages are currently being delivered to STEM educators in schools. If you are a program leader working with high-school age students, either inside or outside of school settings, and you would like to receive a survey package, please send your name, program name, and complete mailing address to info@studentresearch.org with "STEM Career Survey" in the subject line. Thank you for your participation! Kids (and adults) everywhere are counting down the days until The Force Awakens in theaters on December 18, 2015. 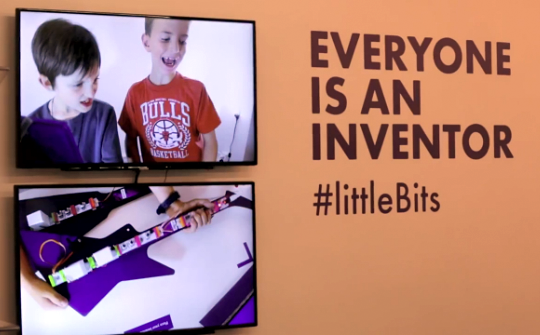 Now you can use that excitement to share an "Hour of Code" with students everywhere during Computer Science Education Week (December 7-13, 2015). Star Wars: Building a Galaxy with Code is one of several great resources -- complete with Teachers Notes -- you can find on the CSEd Week site. 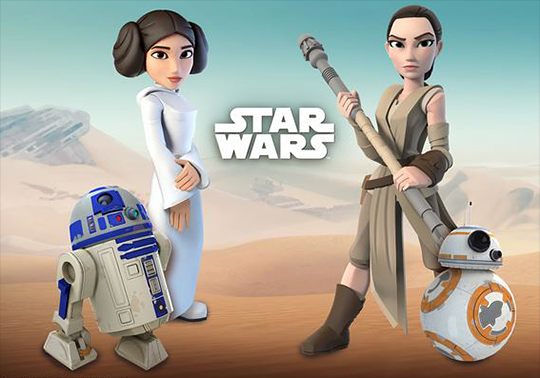 Guided by Rey, students learn how to program BB-8 while creating their own Star Wars games. There are also Code with Anna and Elsa, Minecraft Hour of Code, and six other fun tutorials. We're excited to announce that the Noyce Foundation has awarded $100,000 to The Connectory in support of our "Connecting Families to STEM: Tools for Engaging Youth" proposal. The grant will help fund the development of features and tools to motivate and equip parents of all backgrounds to make use of The Connectory to connect the youth in their care to high-quality STEM learning opportunities. Included in the plans are implementing a mobile experience, creating a review and recommendation engine, and designing a mobile app to download.